It might look like something out a satanic version of Tron, but the R18 e-tron quattro is actually Audi’s latest Le Mans 24 Hours racer – and it packs an amazing technical punch. 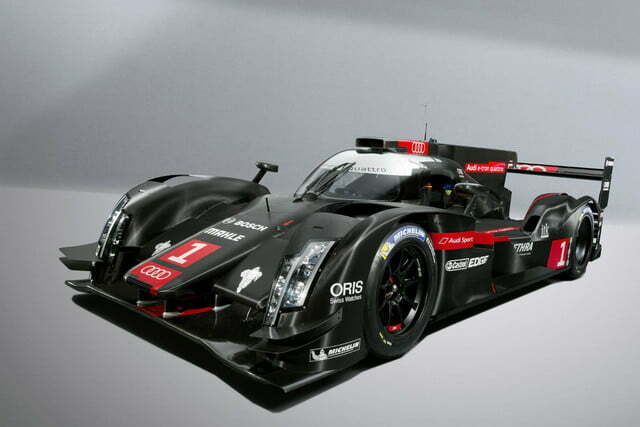 In fact, it has one of the highest efficiency race engines ever designed: a TDI V6 with two hybrid drive systems. Surprisingly, it has no hybrid batteries. Black magic? Maybe. 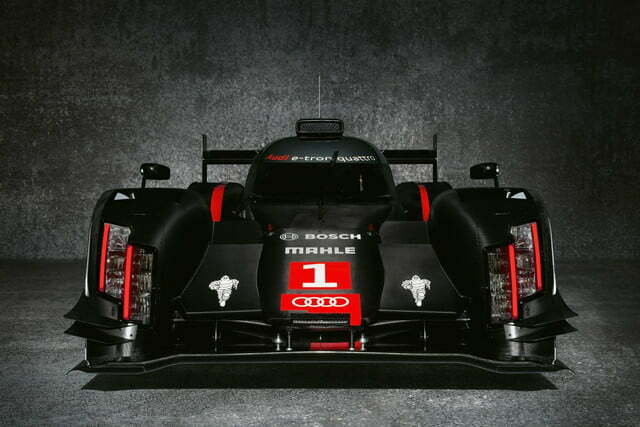 But if it is magic, the R18 is German, so we know it will work. When designing this car, Audi decided to focus on efficiency, a strategy that has already netted the German automaker a string of Le Mans victories. What’s new for this year is the focus on reducing energy consumption. 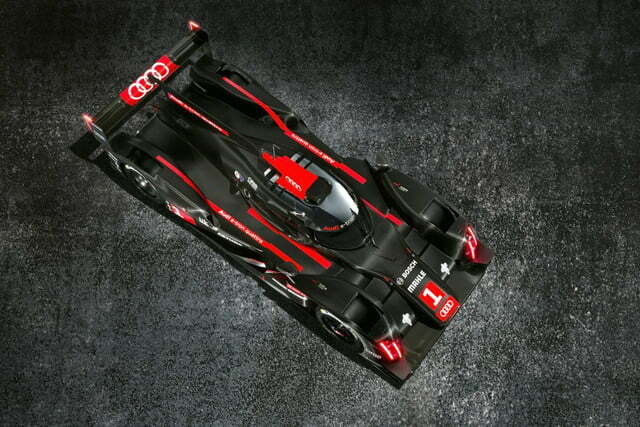 In fact, this year’s R18 will be just as fast – if not faster – while using 30 percent less fuel. So how is this evil eco-wizardry possible? 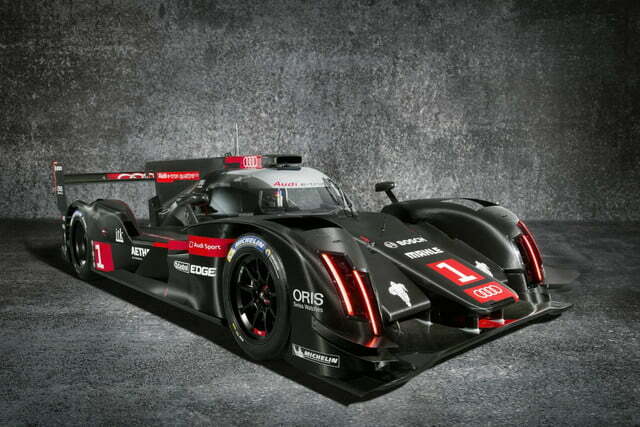 Well, Audi is using hybrid systems. The first is a pretty standard Motor-Generator-Unit that recovers kinetic energy during braking. However, instead of big heavy batteries, energy is stored in a flywheel on the front axle. The technology is still limited to racing, but it isn’t new, having been used in Formula One for several years. The real innovation is Audi’s second hybrid system that recovers energy from the turbo exhaust. Details are hard to come by, but what Audi will say is that once the turbo has reached its maximum boost, the system stops compressing inlet gasses and begins turning a generator. This is a technology we suspect you’ll see on road-going cars in a few years, as it is an easy way to capture untapped energy. All of this technology has been crammed into an incredibly aerodynamic body shell. I am not going to go into the details that Audi provided, because I am not actually an expert in fluid dynamics. What I will say, however, is that aerodynamics have rarely looked so sinister or awesome, even if the effect is ruined slightly by the cheerful Michelin Men stamped on the front. I know that automotive journalists, including myself, compare every third car to the Batmobile, but, really, this car looks like the Batmobile. Or, rather, the child of the Batmobile and an evil light-cycle from Tron. 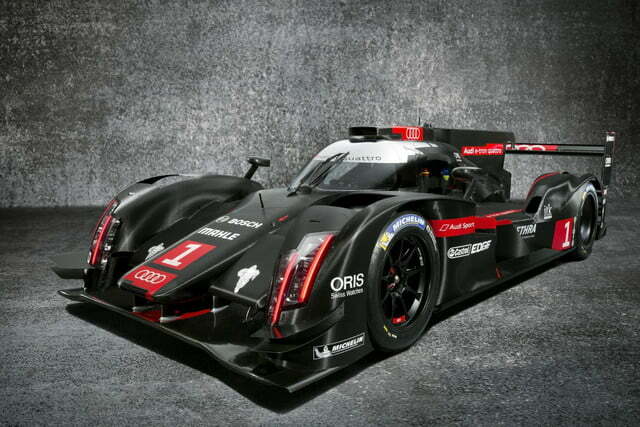 Regardless, kudos to Audi’s wind tunnel and designers for creating this awesome shape. I can only hope that the technology lives up to expectations and actually delivers incredible race speeds on mere sips of fuel.